COME HOME TO THIS PICTURESQUE HOME AND RELAX IN LUXURY! 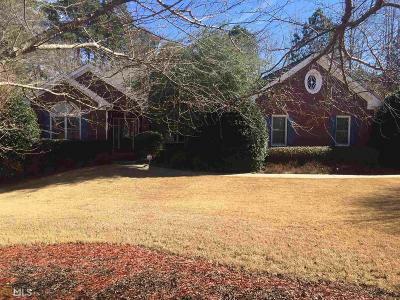 THIS BEAUTIFUL BRICK RANCH HAS LOTS TO OFFER WITH SOARING CEILINGS, LARGE BEDROOMS W/LOT OF CLOSET SPACE, HUGE GOURMET KITCHEN W/GRANITE COUNTER TOPS AND TILE FLOOR, SUNNY EATING AREA AND HUGE DR FOR THOSE LARGE FAM GATHERINGS. YOU&apos;LL ALSO LOVE THE FINISHED BSMT WITH REC RM, POSS TEEN SUITE WITH EXTRA BR AND HALF BATH, LARGE FAMILY RM W/BAR AND FRENCH DOORS LEADING TO THE HUGE SCREEN PORCH OVERLOOKING THE AWESOME IN GROUND POOL AND PARK LIKE YARD. THIS HOME TRULY HAS TOO MUCH TO LIST AND WORD NOR PICTURES DO IT JUSTICE. COME SEE THIS BEAUTIFUL HOME AND YOU WILL NOT WANT TO LEAVE. Directions: From 285 Take Hwy 78 To Snellville, Rt On Hwy 124, Then At Light Go Lt On Henry Clower Blvd, First Rt On Lenora Church Rd, Lt On Temple Johnson Rd, To Sub On Rt. Turn In On Windlake Dr To House On Lt Of Windlake And Coldwater Ln.